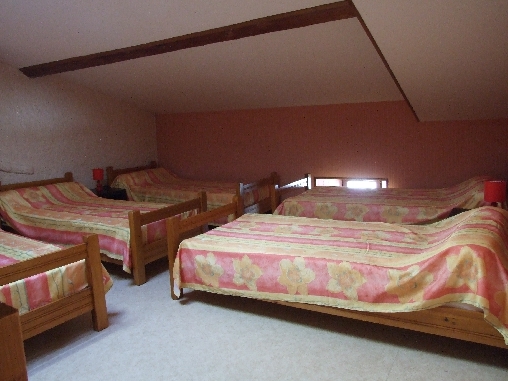 On the first floor there are five bedrooms with single beds (3 x 3p, 4p, 6p). Each room has a private bathroom with sink and shower. On this floor are two toilets. On the ground floor there is a living room with a sofa and armchairs, where you can quietly watch tv, and where you can find information and books about the area. Besides the living room is the kitchen with dining room. The kitchen features professional appliances such as a gas cooker, oven, dishwasher and a large fridge. There is crockery and cutlery for 30 people present. 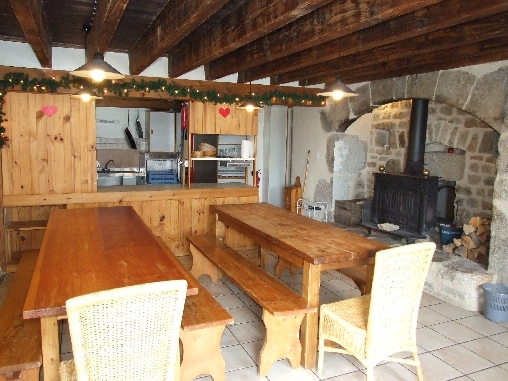 The kitchen is open to the large dining room containing a fireplace with wood burner. 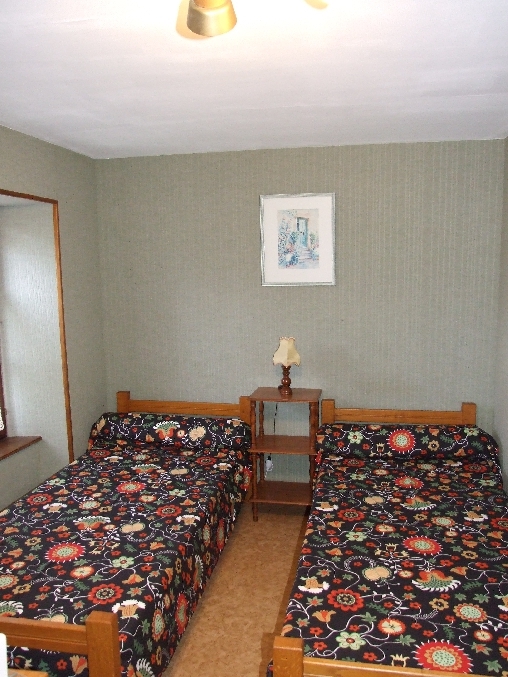 A large room with several options to relax, you will find next to the dining room. There is among others a big screen projector, a bar with music system, a football table and there are toys for the children. This space can also be used as a meeting room. If you would like to make use of the meeting arrangement please notify when booking. 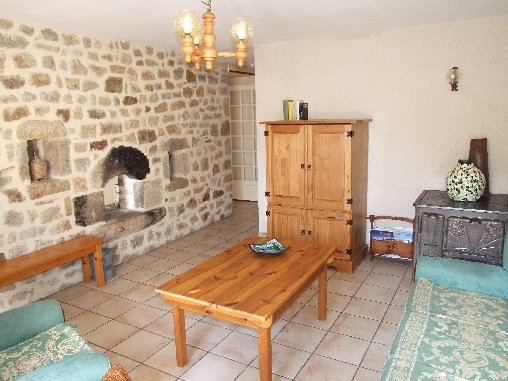 All rooms on the ground floor give access to the large private terrace at the front. The terrace is equipped with furniture, you can use the barbeque and bread / pizza oven in the shed. 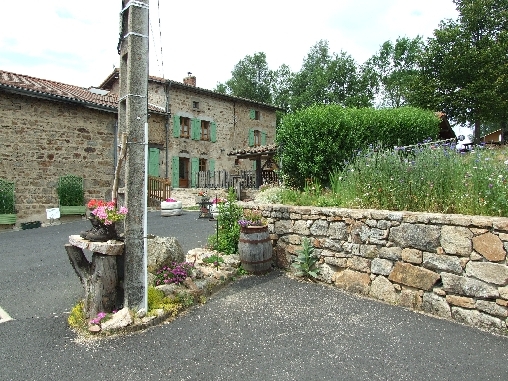 Under the roof you will find a table tennis table and behind the barn the jeu-de-boules alley. 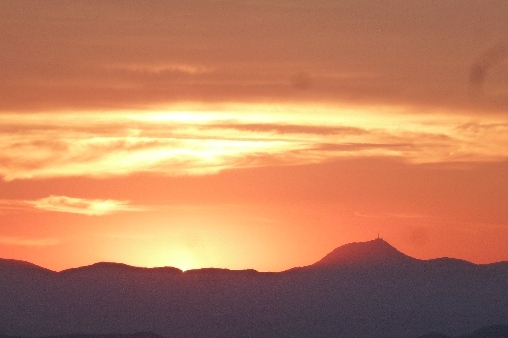 Click here to check the department’s weather forecast (Puy-de-Dôme). Temperature, rainfall, sunshine, wind, satellite image, etc.. Click here to learn about the features of this department’s climate. the easiest way to reach les deux frères is by using highway A75. Nearby issoire take the exit nr. 13 and follow directions to sauxillanges over the D996. 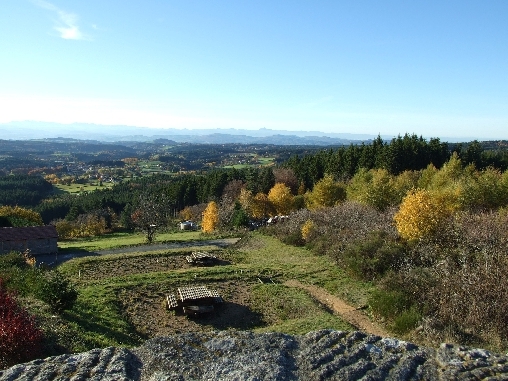 Continue in the direction of condat LÈS montboissier and subsequently Échandelys over the D39. Arrived in Échandelys continue in the direction of st. Éloy la GlaciÈre. After 2, 4km you will find the road to deux-frÈreS on your right. Follow signs in the direction of the 'Belvédère'. the gîte and camping are on your right. Coming from Ambert direction south on the D906, take the road D996 direction st. amant roche-savine / issoire. After about 10km take the road D39 on your left (later becoming D37) direction fournols / st. germain L’herm. In the center of fournols go right in the direction of Échandelys. After 1, 3km just after 'les Andes' you will find the road to deux frÈreS on your right. For cars with a caravan the access towards deux frères is less steep approaching from the south (les Andes - fournols) than from the north (D39 between Échandelys and st. Éloy la Glacière).